Do you have anyone whose messages immediately make you smile? For me, that’s Zee Cornelius. Zee is a brand designer whom I’ve had the privilege of meeting through The nuSchool community. She’s an absolute joy, beaming positivity and light — so when she told me how much of that career happiness she and her husband discovered with the help of The nuSchool, it was a no-brainer to publish her (and their) story. 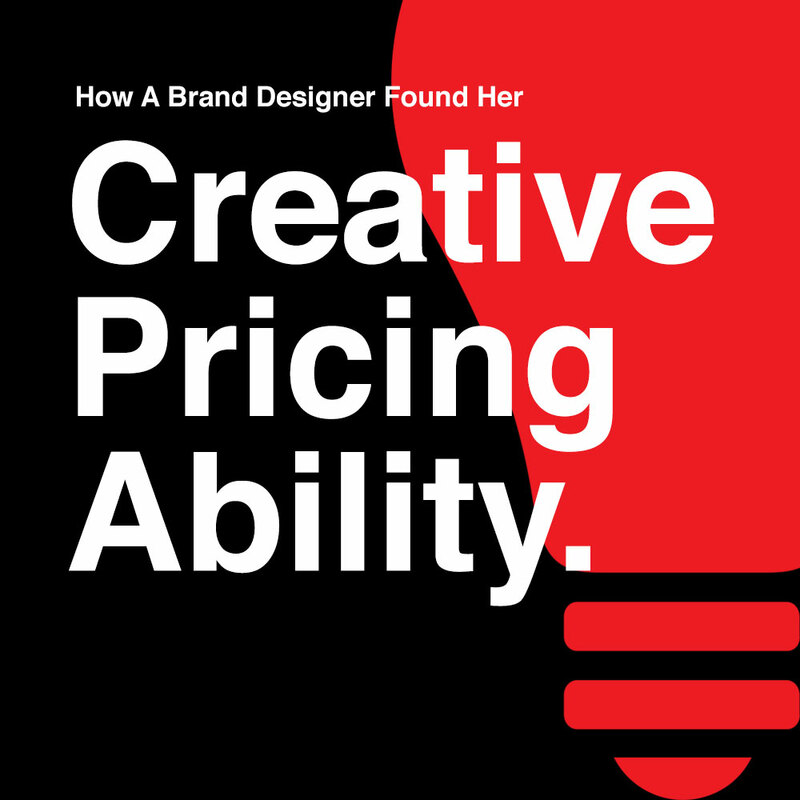 Two brand designers, a pricing strategy, and The nuSchool: This is a love story. I’m mostly the management behind PlayPause. The main designer is my husband , Wan. We are the brand designers. We started as freelancers way back in 2004 when both of us had full-time jobs. Wan was working at a music store while I was a tech support officer. Wan had his visual communication education and I was a self-taught web designer. After we left school, we had friends giving us paid projects for event posters and websites. That’s when we started freelancing. Projects were quite consistent and the web projects were good money. 5 years later, we decided to make it our full-time business. What made you look for outside help? When we started as a business in 2009, we worked from home and were very happy with the money we make designing music album covers and branding for events. Between 2011 to 2014, we’ve had 2 office leases and 3 failed partnerships. And this was also the period where we served over 300 clients in a span of 3 years. But we weren’t making much money! We are merely creatives without basic business knowledge. We were driven purely by passion. In 2014, we found a business mentor; we learned a lot, but it doesn’t gel with what do as creatives. We made some progress but not what we envisioned. I was looking to learn from someone who knows what it’s like to be in a business, but after that year of mentorship, I realised I wanted to learn from someone who is currently running a successful creative business. I wasn’t actively searching for the solution, but Wan stumbled upon The nuSchool when he was searching for rates across the board. That was how we first learnt about you guys – through the “How Much Should I Charge” tool. I didn’t want to waste any more energy & time on other solutions. Before I found out about The NuSchool, we weren’t really searching for any other solutions. We were exhausted by the 3 failed partnerships and mentorship in 4 consecutive years. Why do you trust The nuSchool team? The pricing tool gave me better insights as to what needs to go down into pricing. It wasn’t just merely the hours we spent on working the particular artwork but the proposals, emails, meetings and such. After using the pricing tool, I stuck around for the content. And then we bought Value for Money last September; that’s when I was invited into the Facebook community. It has been crazy good! Learning from other designers just by talking shop is something I’ve never experienced. Talking to like-minded people who knows how crazy it can be, makes me feel so much at home. I trust the nuSchool team because they know what it’s like to be designers doing business. They went through what I’m going through with my business. As creatives, we jumped into business because projects were coming in. We never learned the business aspect of it. We were learning it the hard way. What has The nuSchool changed for you? How do we help you on a day-to-day basis? A perfect example of this is how the Pay Me or Else! eBook helped me with an uncomfortable situation I got stuck into with a client. A client confirmed an urgent project for us for a local newpaper print advert, which he agreed to the amount + 50% urgent fees. He confirmed on Tuesday and the ad should be printed for Friday’s papers, but after we submitted our first draft as requested on Wednesday, he went quiet. Come Friday, we saw the ad in the papers – but it wasn’t our design. Using the email sample in Pay Me or Else, I wrote to him, who had been silent for almost 2 weeks. Within 15 minutes, he replied! So now we’re getting paid for work done! Previously, I wouldn’t know how to tackle such situations. It could be so stressful to even ask about money that’s owed to us. But now I have learned. I’m still trying to keep up with the daily content creation or curating/sharing content. My daily mantra now is Know, Like, Trust: how do I get new prospects to know, like and trust PlayPause. I have in fact told a couple of peers about you guys and how it has helped me and my business. It was after the Marketing Class that I realised what I had learned now falls into place. We have just rebranded ourselves as brand designers, rather than graphic designers who help businesses look good. And because of the Marketing Class, we have relaunched our website. It still needs to be worked on but we are now visible, more targeted and clearer on where we go from here. So, bottom line: Is it possible to charge what you need while doing what you love? I hope Zee and Wan’s story has inspired you and shown you that getting paid for what you love possible. She can do it — and you probably can too. If you need help learning how to do it, we’re here to help with our Marketing Class. This class will not only teach you – step-by-step – how to find clients and help them find you; it will also – like Zee found – give you the confidence to do just that.